Coastal Cottage on Isle of Hope overlooking Herb Creek.Enjoy waterfront living on Isle of Hope at an affordable price point. Home is located on a beautiful marsh/creek lot on the Herb Creek. Easy to kayak or paddle board even though there is no dock. Owner has small boat as well. Home had extensive renovation and expansion in 2015 and is move in ready. Open & bright floor plan with covered porch off downstairs living area and open porch upstairs. Perfect for watching the amazing sunsets! 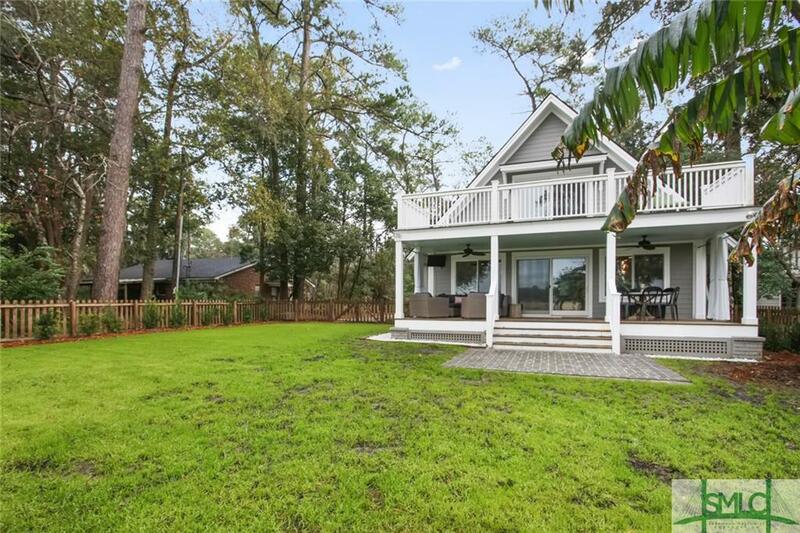 This is a great opportunity to enjoy the water & coastal views on Isle of Hope. 1.52 acres runs all the way to deep water. Savannah Board of Realtors®, © 2019. All rights reserved. Information deemed reliable, but not guaranteed. All properties are subject to prior sale, change or withdrawal. Remax, SMLC and IDXPro shall not be responsible for any typographical errors, misinformation, misprints, and shall be held totally harmless. Information provided is for consumer\'s personal, non-commercial use and may not be used for any purpose other than to identify prospective properties consumers may be interested in purchasing. This site will be monitored for \'scraping\' and any use of search facilities of data on the site other than by a consumer looking to purchase real estate, is prohibited. Listing broker has attempted to offer accurate data, but buyers are advised to confirm all items. Listing information last updated on 2019-04-22.